BALIF - Mega Make Contact Event: The Largest LGBT Business Networking Event in the U.S. celebrates National Small Business Week! Mega Make Contact Event: The Largest LGBT Business Networking Event in the U.S. celebrates National Small Business Week! 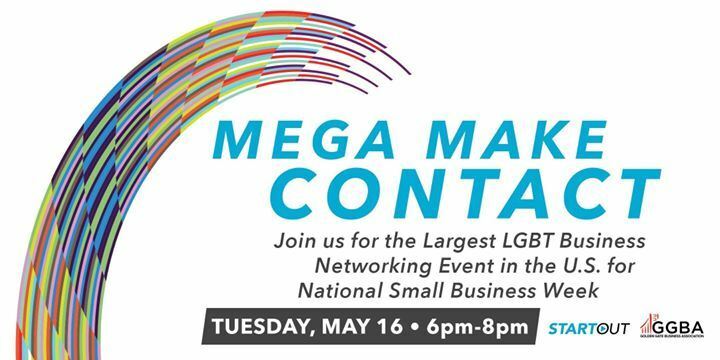 What: Mega Make Contact Event: The Largest LGBT Business Networking Event in the U.S. celebrates National Small Business Week! Join organizations that represent thousands of LGBT entrepreneurs, business owners, consultants, employees and our friends from San Francisco and the Bay Area as we send a positive message to Washington DC during National Small Business Week about the incredibly powerful economic impact of the LGBT business community! Celebrate our collective power in creating jobs, leading innovation and building community!